Happy Birthday Daphne! - Polish Etc. As I'm sure you have already noticed by your blog feed, today Pretty Serious Cosmetics turns 1 year old! Pretty Serious celebrated this milestone with the release of Daphne's Birthday Party, a gorgeous full coverage metallic glitterbomb. In case you aren't familiar with the brand, Daphne is the name of Pretty Serious's poster girl, the image used on all of their boxes and promotional images. She's sort of the mascot, so today Pretty Serious is throwing her a Birthday Party! 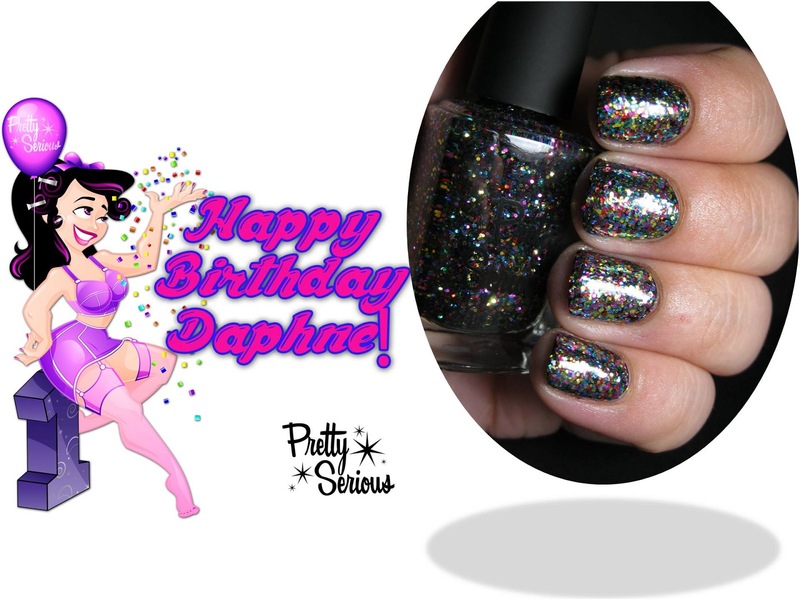 Daphne's Birthday Party is a dense multi-colored glitter in a clear base. The glitter is made up of tiny metallic hex glitter in every color of the rainbow, I see red, blue, green, yellow, and purple. The formula was good on this one, not as thick as some of the other Pretty Serious polishes I own but still very dense. I layered two thin coats over a black creme, but in hindsight, the base color wasn't necessary since Daphne's Birthday Party is opaque on its own. The glitter doesn't dry too gritty. I used two thin layers of topcoat for a smooth finish. On my thumb in the photo below there are two coats of Daphne's Birthday Party and no base color for comparison. This glitter would easily build to opaque in three coats. Daphne's Birthday Party is everything I want in a birthday glitter mix. 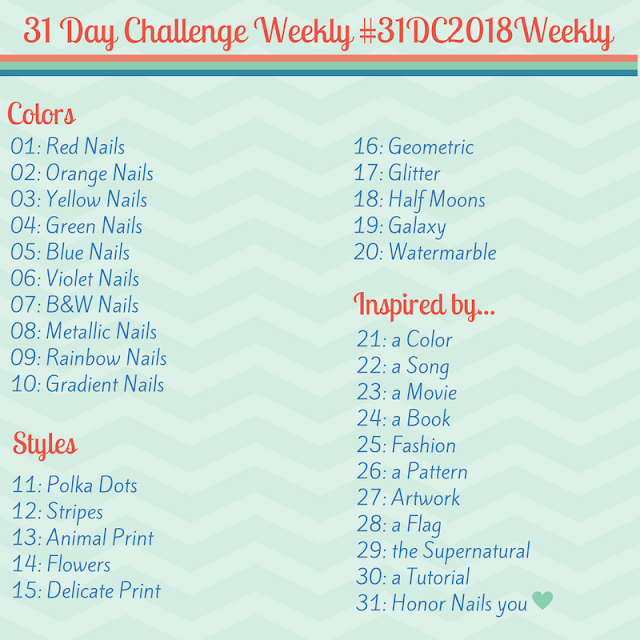 It reminds me of confetti and it's a very fun color to have! Thank you Tina, I love it too!